Lower Tews Falls is located on Logie’s Creek in the Spencer watershed, about 200 metres downstream of Tews Falls. It is a twin curtain falls measuring 3.7 metres (12 feet) in height and 6.7 metres (22 feet) in width. 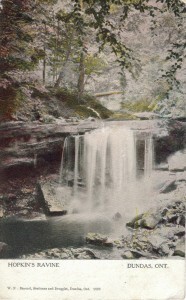 Joe Hollick has a postcard of Lower Tews Falls dated 1906, and at that time it was called Hopkins Ravine. The reason for this particular name was that the Hopkins family owned the property at that time. 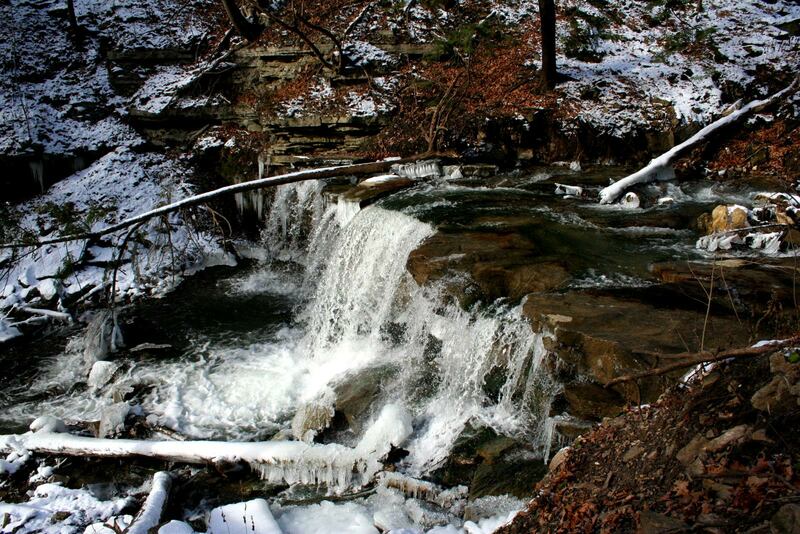 A few years later the Tews family acquired the property, and it’s name was changed. What amazed Joe was that over 100 years ago, a photographer had to somehow get to this site with a camera and tripod when there was no trail, yet he did it. 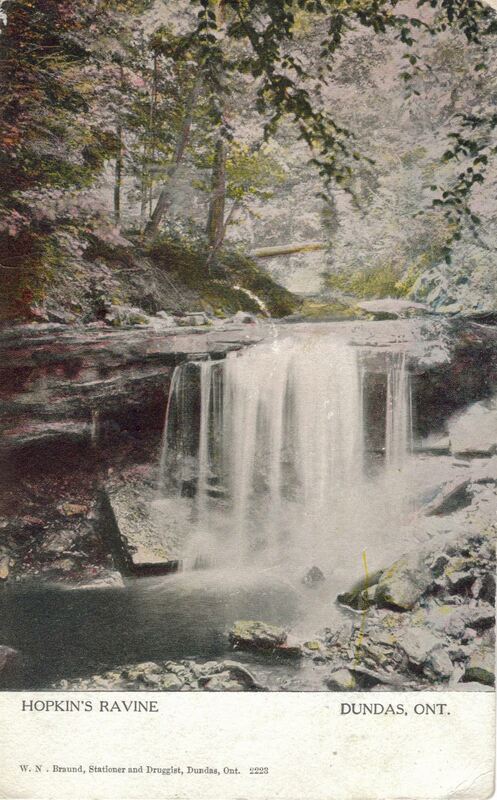 Another impressive fact connected to this postcard is that it proves waterfalls in Hamilton were popular, as Lower Tews Falls was one of Hamilton’s smaller falls. 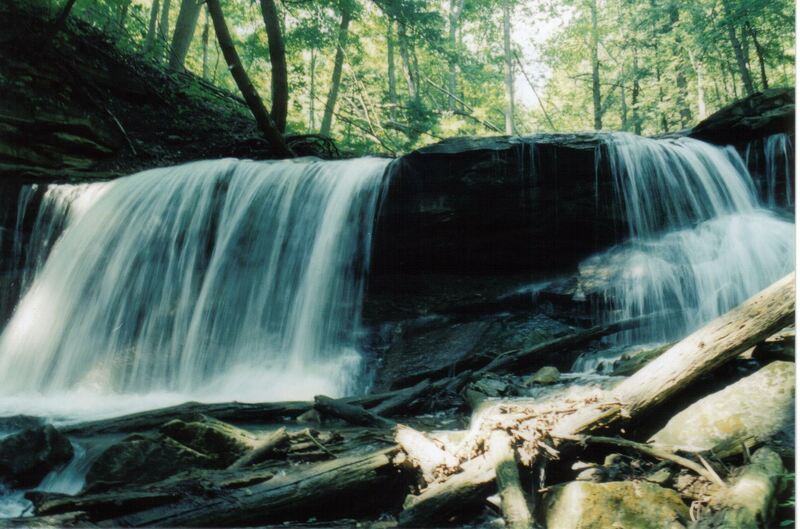 Many of Hamilton’s waterfalls made it to postcards at that time. 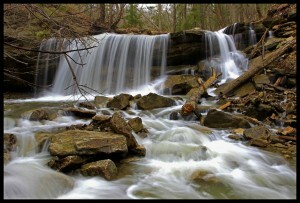 Today you have to look very hard to find a postcard showing even one waterfall in Hamilton!